2 million years ago, two species of apeman had evolved different strategies to survive the African environment. When the landscape changed, which would continue on the path to becoming human, and why? 2 million years ago, in Africa, many different species of apemen coexisted. The Paranthropus boisei were heavy set, with gorilla-like faces and gentle characters. The Homo habilis were tough, active, gregarious and had brainpower. The Homo habilis were opportunistic scavengers who were able to adapt to survive difficult conditions. 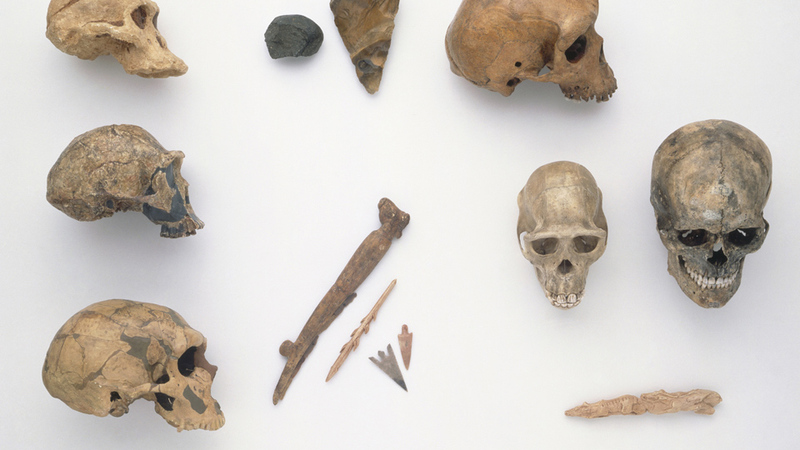 The Africa of 2 million years ago is a crossroads in human evolution. Many different species of apemen exist alongside one another. Each of them has exploited the environment in a different way and has developed their own survival strategy. Two very different apemen were the Paranthropus boisei.